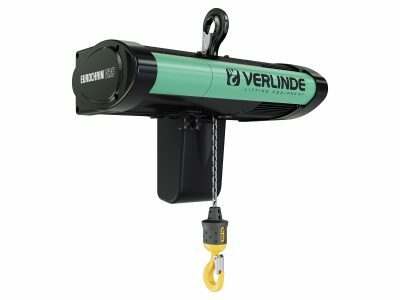 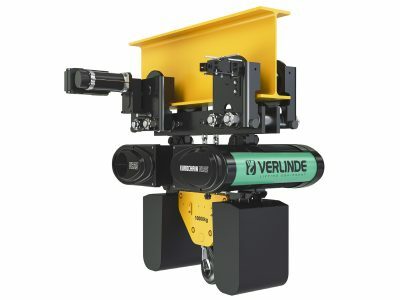 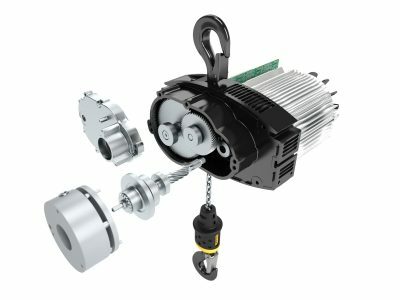 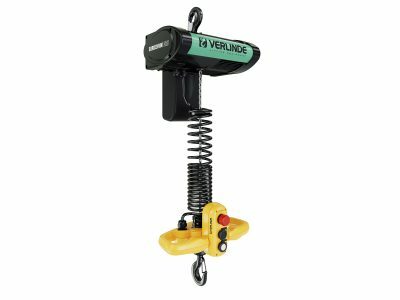 The Verlinde Eurolift BH electric belt hoists from 63kg to 6,500kg which are specifically designed for hygienic and cleanroom applications such as pharmaceutical, semi-conductor, aerospace and food preparation. 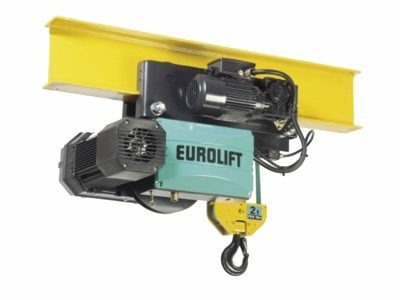 Eurolift belt hoists are suitable for a variety of configurations including fixed position, manual and electric monorail, overhead/underslung cranes, as well as for use on light crane systems such as Eurosystem. 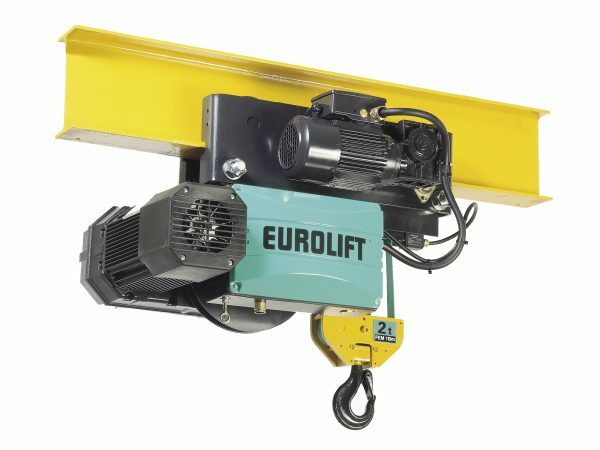 The Eurolift BH electric belt hoist can be fitted in to a low headroom trolley for use is the Eurosystem ST and ALU light crane systems. 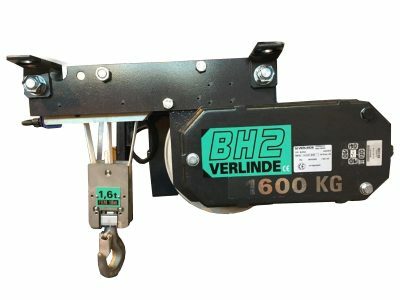 The Eurolift BH electric belt hoist with fixed suspension is not equipped with a trolley and is used for applications where horizontal movement is not required. 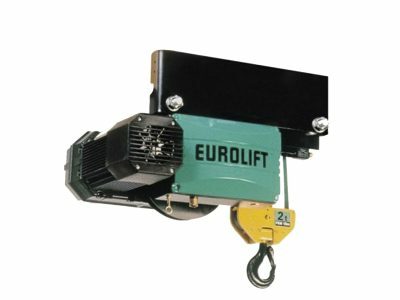 Fitting the Eurolift BH electric belt hoist with a low headroom trolley delivers optimum use of the height of lift available. 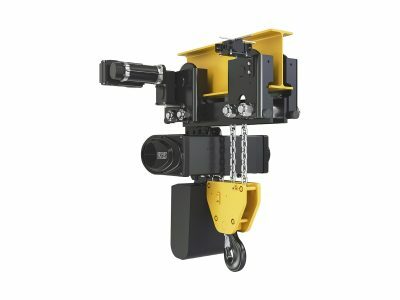 The Eurolift BH electric belt hoist manual trolley configuration within a reduced headroom working environment provides maximum height of lift. 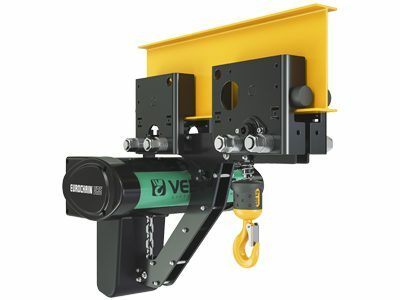 Standard height of lift 6m.